What’s it like to be a frontier missionary? Normal people like you—mechanics, pastors, bankers, homemakers, carpenters, students—leave the comforts of home to go where the Gospel is not available. Compelled by the sacrifice of Christ, you are called to share the love of God and His message of salvation with those who worship stone, metal and demons. Your tongue grudgingly learns to form new sounds so you can communicate deep things in your peoples’ heart language. You clean and bandage sores even as you minister to deeply wounded hearts. Your sweat drips onto your laptop keyboard as the mercury goes above the last line in the thermometer. On your knees, you implore God to give you wisdom and grace to share the story of His love and mercy with those who know only fear and punishment. As you labor with people to help them see that the Man who was crucified on Calvary died for them, you show them love incarnate. Learning to trust you, they will learn to trust your Savior. Your children in faith grow and stumble along the way, and you help them back to their feet, back on the way, back to the Savior. They grow and mature in faith, and you rejoice as some of them are called into positions of faith leadership. You develop and translate materials to spiritually feed them—Bible studies, Spirit of Prophecy books, tracts—so they can grow on their own. And then comes the hardest part of being a frontier missionary…. They cry. You cry. You are leaving, because you have worked yourself out of a job. You hug each other as you recount battles fought and victories won through the blood of Christ. He has conquered hearts anew—your heart, their hearts—and His kingdom advances into new territory because you were willing to give years of your life. You move on to fight new battles in new territories. Your spiritual children continue to advance the kingdom among their people, ever grateful for the gift you brought and shared with them—eternal life through Jesus Christ. Sound interesting? Apply to be a missionary today. Not sure you are qualified? Read on . . . .
What kind of people do we look for? It’s simple. Our ministry is driven by people who have a passion for unreached people groups. With decades of cutting-edge expertise in pioneering work among the least-evangelized, we have built a reputation for reaching the most resistant and isolated people groups. It isn’t easy, so a bit of stick-to-it-ness is required. Naturally, witnessing experience is a plus, but we are more interested in finding people who embrace our core values of reliance, integrity, humility, teamwork, and transparency. If you are motivated by these values, would like to work for a missions leading organization, and want to find eternal significance in your lifework, browse our current opportunities and apply today. 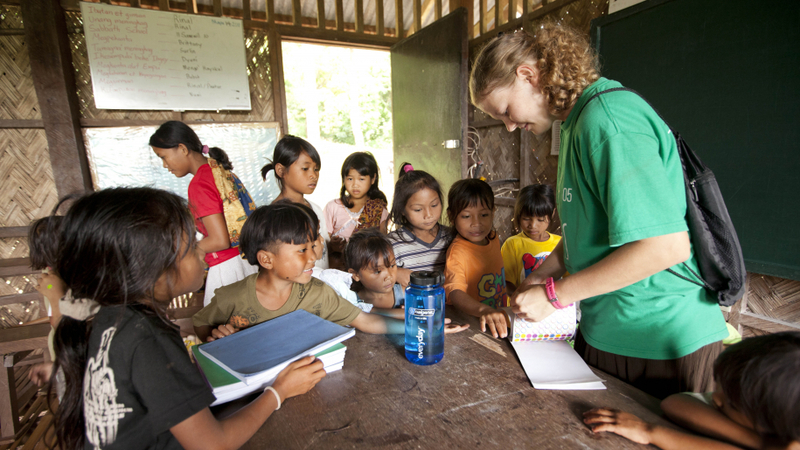 We offer several types of mission service ranging from nine months to 12+ years. Depending on your call, activities might include outreach/evangelism, basic medical work, homeschooling, teaching English, agriculture and development, mechanical and construction work, and many more. Visit Current Opportunities to see all of our mission calls. Not quite ready? Prepare for future mission service. Perhaps you don‘t sense the Holy Spirit calling you to step forward to be a missionary at this time, but you are still very interested in possible future service. What can you do to better internalize God‘s heart for the unreached and prepare for His call someday? Learn a new language. It makes little difference which language you decide to learn. The important thing is that you gain skill and experience in how to learn a new language. This is a key skill for missionaries who reach out primarily by forging deep relationships with people. Share your faith. Personal one-on-one soul winning is the foundation of our ministry. Get involved in a church plant. Is there a new church plant somewhere near you? Get involved. If there isn‘t one, prayerfully consider bringing together a team to start one. As you advance Christ‘s kingdom in your sphere of influence, the lessons you learn and the experience you gain will wonderfully equip you for church-planting ministry overseas. Participate in a short-term mission trip. While they are not a substitute for deep-reaching, long-term mission work, short-term mission trips are a good way to experience new cultures and begin to grasp the needs of the unreached. Get evangelism and leadership training. Listed below are a few that might spark your interest. SALT — An evangelism training program on the campus of Southern Adventist University. Pray! Keep submitting your life and your plans to God, and He will lead you down the path of His perfect will.